We are a leading Exporter of fire resistant cloth, fiberglass blankets and fire blanket from Ahmedabad, India. This is a high temperature, heat and flame resistant thermal insulating S-fiberglass fabric fabricated from high quality type S fiberglass yarns that will not burn and will withstand continuous exposure to temperatures of 1400°F / 760°C. It is used to protect equipment, wires, cables, hoses, tubing and pipes. This high temperature fabric provides thermal insulation and personnel protection. 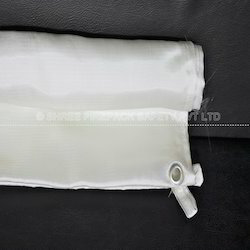 We are a prominent Fiberglass Blankets manufacturer and supplier based in India. 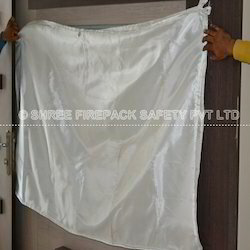 Shree firepack safety pvt ltd specializes in offering qualitative range of Fiberglass Blankets. Also our range of product include like yarn, ropes,cloth,webbing tapes,fire blanket,aprons,suits,welding blanket,coated & uncoated fabrics made of asbestos,non asbestos material like glass fiber,cermaic fiber & silica. shree firepack safety pvt ltd is the leading industry producer of Approved welding curtains, welding blankets and welding pads to protect people, plants, and equipment from heat, sparks, and molten metal in the workplace. Today we manufacture 23 certified high temperature fabrics (many times referred to generically as “welding blankets” or “fire blankets”) ranging in temperature resistance from 225°F (107°C) to 3000°F (1650°C). 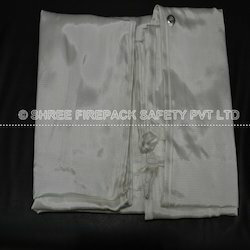 Looking for Fire Blankets ?